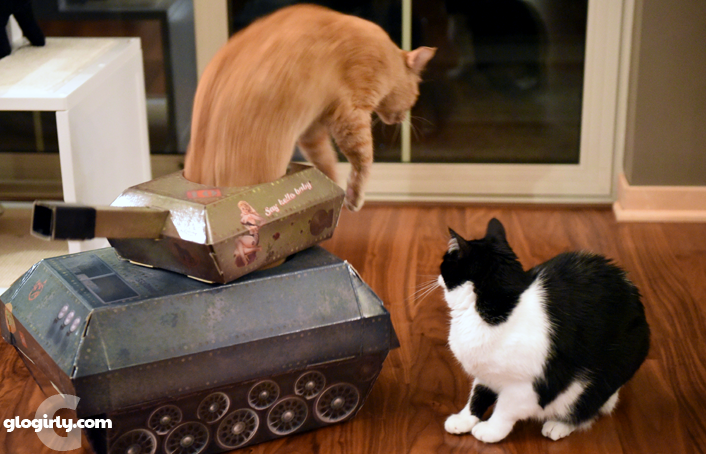 I wanna cat tank - I *NEEDZ* one. I'm gonna aim it at Allie's AIRPLANE. Allie: Someone please cut his Chanukah Catnip Supply off...? Now, please??? You're remindin us of Crockett! I get the tongue thing, Waffles. I a bit of a tongue-y kitty myself. I hope it was a plethora of treats that caused all of the tongue shots! Oh my gosh, that tank is pawsome! Watch out Katie, he's armed now! 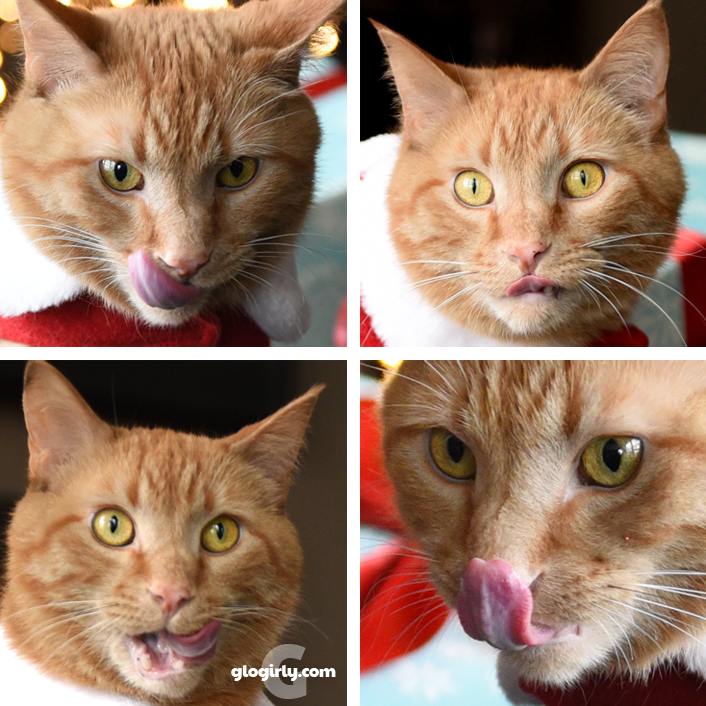 We hope you put that tongue to good use, Waffles, and licked up lots of food and treats! And maybe give Katie a wash? Eh...maybe not. Waff you have such a cute little tongue. It made the woman go squee! My mum is in fits of giggles now picturing you swinging to and fro on a wrecking ball, Waffles! I'm sorry, I try to keep her under control. Katie, you have such a precious tiny tongue and Waffles tongue is so long. You know M says she never sees mine unless I'm eating. Then she can see it. Hmmm. Guess I'll have to work with my tongue more to exercise it. You two are the best! Very cute. Weez a littlle worried dat tung might get stuck out too. MOL Have a gweat day. The tongue thing is adorable...but that tank is awesome! It's a boy thing, boy things flap around more than girl things. 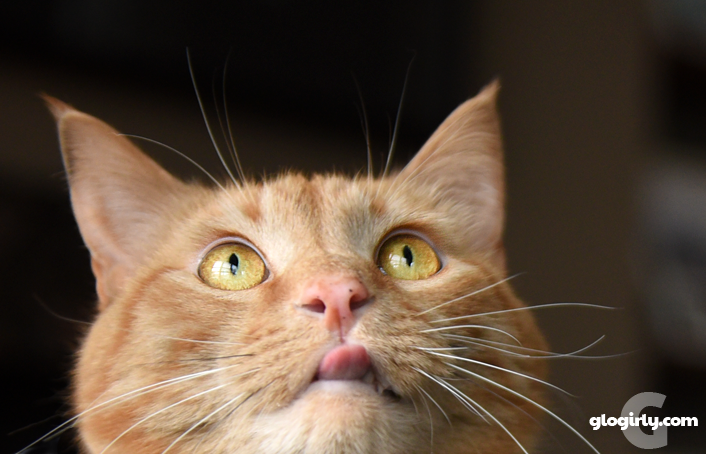 Waffles you made us laugh (and squee) with that tongue of yours! 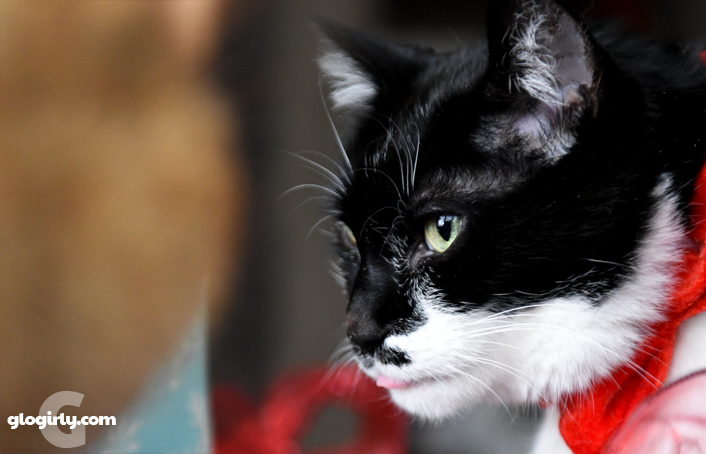 Tongues are very important to a cat for eating, grooming, and providing comic relief for TW apparently! She always posts pics of my tongue especially in sponsored posts. We don't stick our tongues out much but mom seems to get pretty excited when we do and she gets a photo. Your tongue does seem extra busy. Very nice. I wonder if there's a doggy tank?